In this age of mega box set re-releases of well-loved albums – the Beatles’ White Album and Bob Dylan’s Blood on the Tracks being two recent examples – sometimes its nice to rediscover (or discover for the first time) a more under-the-radar re-release. Anthony Phillips’ Field Day is one such. It’s really under the radar…I mean, Genesis was the rare band that spun off quite a few huge solo careers – Phil Collins, Peter Gabriel, to some degree, Mike Rutherford’s Mike and the Mechanics. Even Steve Hackett, hardly a household name, has been experiencing a higher profile lately with his Genesis Revisited album and tours and had a hit album in the 80s as part of GTR. Anthony Phillips, on the other hand, was only on the first two Genesis albums (From Genesis to Revelation and Trespass), so we can see why his notoriety didn’t get that band association push or platform to launch from. Regardless, he’s had a long and prolific recording career and has a devoted, if small, following. Field Day comes as part of Esoteric/Cherry Red’s ongoing Phillips reissue program. Not a particularly old album, it was first issued in 2005. So, maybe not “classic” in the sense that his 1977 “Genesis-esque” album The Geese and the Ghost is, but Field Day is unique in the fact that it’s an album of 61 (!) songs – all instrumental and all played on a variety of stringed instruments, including the expected guitar, but also charango, bouzouki, cistern and mandolin. Phillips considered dividing it into two albums, due to the sheer number of tracks, but in the end decided it was all of a piece and time. Many of the tracks clock in at less than three minutes. That said, Field Day is best appreciated listened to in parts. Though, there is variety – variety in tone and mood, and of course variety due to the different instruments being played. There’s sure to be something for everybody found within and his playing is always sensitive to the melody and imbued with feeling. For me, “Weeping Willow,” played on a 10-string guitar, is especially moving with a deep warm mysterious tone. “Runaway Horses,” with an invigorating, fast strummed melody is another standout. 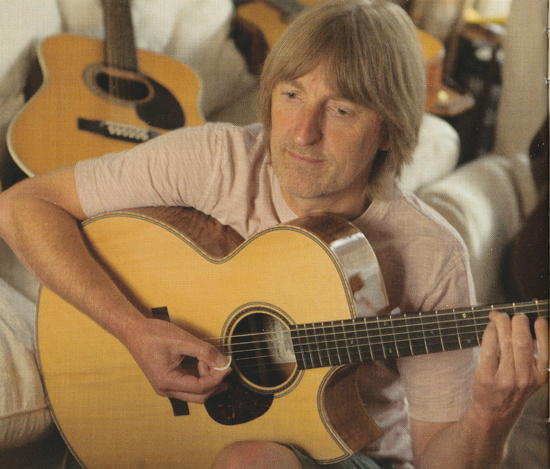 “White Spider” is one of Phillips’ most accomplished acoustic compositions in a career of many. A sound like spiders dancing on the strings (a 12-string guitar in this case), delicate and dark, almost medieval. “Parlour Suite” features a parlour guitar, while “Nocturne” is an outlier cut, not in mood or feel, but because it’s the oldest track, written in 1975. It was inspired by seeing a performance by Segovia, though Phillips was never happy with the version originally recorded in 1978 and so re-did it here on Field Day. Bonus tracks? Ha, no – but do we really need any with 61 to begin with?